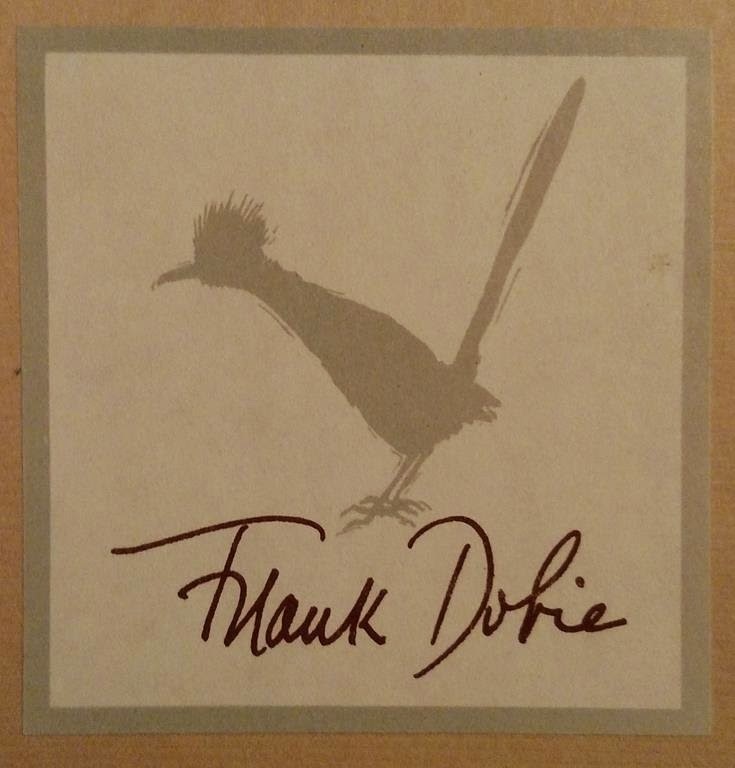 J. Frank Dobie. GUIDE TO THE LIFE AND LITERATURE OF THE SOUTHWEST. Austin: The University of Texas Press, 1943. 111 p. Illus. 8vo. Light-grey printed wrappers. Notes: A handful of copies were issued hardbound. Inscribed, “Dear Fred Rosenstock, This is the first edition. It was given away by the Univ. of Texas Press. The trade printing was made from identical plates by Southern Methodist Univ. Press. 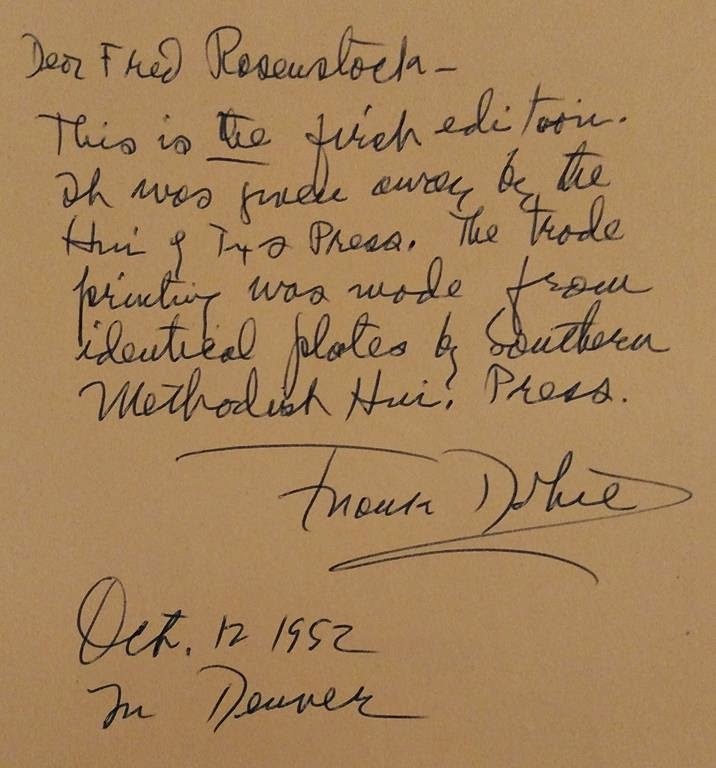 Frank Dobie, Oct. 12, 1952, In Denver.” Checkmarks and annotations throughout. Dobie was a regular customer of Fred Rosenstock (1895-1986) one of the top Western Americana dealers in the country who had his store in Denver. “J. Frank Dobie, while not a collector in the technical sense, put together says J. E. Reynolds, a noted bookseller [see next copy below], ‘with loving care the greatest collection of books on the range livestock industry ever assembled by a private individual in this country.’ Dobie bought books from the Rosenstocks for many years, usually writing a letter and attaching a list of the titles he was looking for” (p. 139). Dobie. [another edition]. GUIDE TO LIFE AND LITERATURE OF THE SOUTHWEST. Dallas: Southern Methodist University Press, 1952. viii 222 p. Illus. 8vo. Medium brown cloth stamped in dark brown, dust jacket. Notes: 2nd edition, “revised and enlarged in both knowledge and wisdom.” First published in 1943. 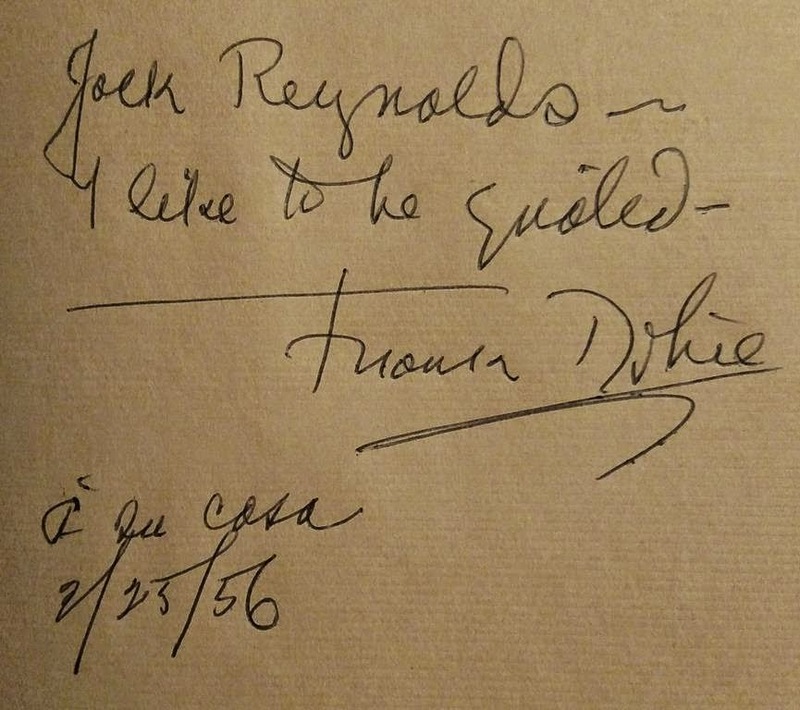 Inscribed, “Jack Reynolds -- I like to be quoted -- Frank Dobie, a su casa, 2/25/56.” Bookplate of Dobie.